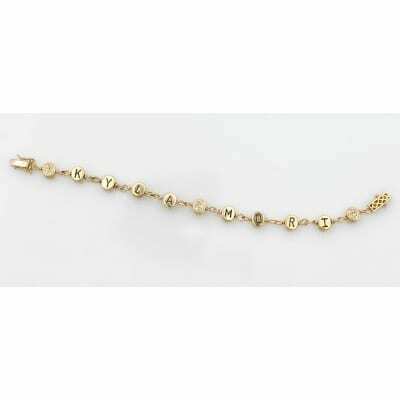 14K Gold Baby Name Bracelet is a Retro Design of the 1950’s… This Sold Gold Baby Name Bracelet is Hand Made with enamel lettering and Diamonds on both side of the baby beads. 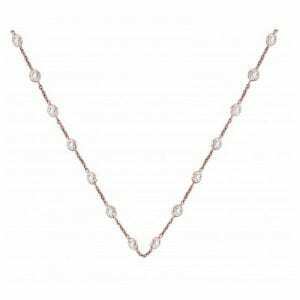 It is available with pave diamond bead as seen here or with out diamonds. 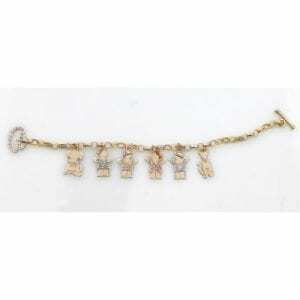 It is available in Sterling Silver.. Price depends on Number of Beads, Diamonds and Sterling Silver or 14K Gold. Please call Rona at 516 222 2806 for design and pricing! This bracelet is special order and will take 6 weeks to create! So please order early.